Welcome to another of our Best of St Lucia with our readers. We wouldn’t have this amazing blog without including our readers. The goal is to show you how amazing St Lucia is and why it’s the place to be. You do not have to take our words for it. 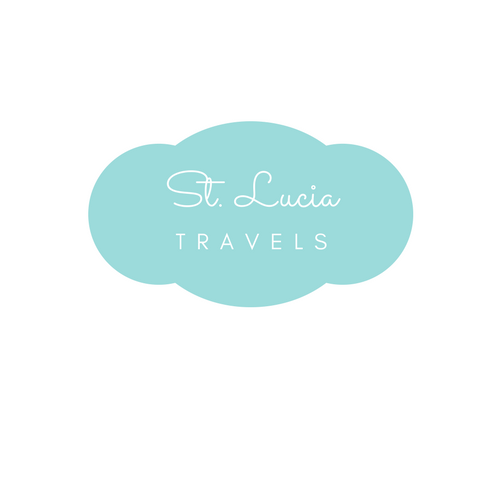 Here is another amazing St Lucia Vacation Review. My husband and 2 of my children (5 and 3) recently stayed at Sugar Beach a Viceroy hotel in St Lucia for our winter vacation. Sugar Beach is located in St. Lucia in the West Indies. Having traveled all throughout the Caribbean we were expecting the resort to be upscale and the beaches warm and inviting. Never in my wildest dreams did I expect to be waited on hand and foot by butlers transported all around the expansive property by tuk-tuks and to have access to not only a pool in my villa but also an enormous pool practically empty each day of our trip. Sugar Beach resort is nestled between the Piton Mountains with Gros Piton on one side and Petite Piton on the other. It?s located right outside of Soufriere which is the town Sugar Beach is in on the west coast of the Island. St. Lucia is known for its lush rainforests and mountains but no two more famous than the Pitons so we were nestled right in the center of the action. We really had no reason to leave the resort it has several restaurants some formal and some more casual and also has bars and lounges for evening entertainment. They have a lovely kids club for the children to enjoy during the day and offer nightly babysitting. Our villa was like a home away from home and gave us all of the comforts of home while treating us to unparalleled Caribbean beauty and warm calm oceans. The beach is a cove so it’s as beautiful as it is calm. The resort offers beachside barbecues, romantic dinners on the beach that your 24/7 butler can arrange. It’s all at the touch of a button. They really didn’miss a single detail. What did you love about St Lucia? The Rainforest Spa was a barefoot luxury at the highest level. My massage was invigorating and my wrap detoxifying. I felt like I was in Bali or Hawaii half the time it really was like NO other Caribbean experience I have ever had before. We did leave the property to head to the waterfalls which were close by and they were amazing. The children enjoyed them. Most of the days were spent kayaking, on the catamaran, paddle boarding or taking the Sugar Cube the resorts pontoon boat from one side of the beach to the other. It was luxury at the highest level and you would be remiss to come to St. Lucia and not stay or at least visit Sugar Beach. We did a dinner at Jade Mountain which was lovely and it happened to be the Blue moon that evening so the views were spectacular and the food was top rated and exquisite. Who needs the long flight to Hawaii when you can go to St. Lucia? If shopping is your passion (and lucky for me it is) you will have a field day at By Rory a UK based clothing store offering up the best in Chic UK resort wear designs. I’ve been the envy of all of my friends with my gorgeous Beach cover-ups that they won’t be able to find in the US! From craters to Sulphur Springs to waterfalls to fine dining there truly isn?t anything that you can’t find in St. Lucia. I need to go back because I definitely left my heart in St Lucia. If you want to check out rates for Sugar Beach a Viceroy hotel in St Lucia, you can check it out here and book your vacation. Enid Viana Obrien is a Lifestyle blogger and Freelance writer who is based in NYC, Bergen County NJ & the Hamptons. Visit her blog over at The EV Social. Follow on Instagram @theevsocial. I cant wait to visit St lucia .. This sounds like an incredible time! That hotel would be a wonderful place to stay. I’d be relaxing by that water daily! Wow ! Would love to visit St Lucia after reading your article. And of course, stay at the amazing Sugar Beach. Enjoyed reading your post. It looks like y’all had an incredible time. I am always cautious about vacations to tropical locations like this, as a family, but it sounds like it was pretty family friendly. St. Lucia seems so dreamy with the blue water! Definitely on my bucket list. St.Lucia looks like the ultimate vacation. It definitely a nice couples getaway. My parents visited St.Lucia several years ago and fell in love with it immediately.They would love to return. My sister and I are hoping to be able to send them for their 60th anniversary. What luxury you experienced on your vacation. I can imagine it was easy to get used to being waited on hand and foot. St. Lucia looks like such a beautiful and amazing place to visit. I love all the fun photos you took while you were there. This resort promises haven vacation and I love it. Would be a nice honeymoon destination. Glad they have amenities for kids. Are they also pet-friendly?